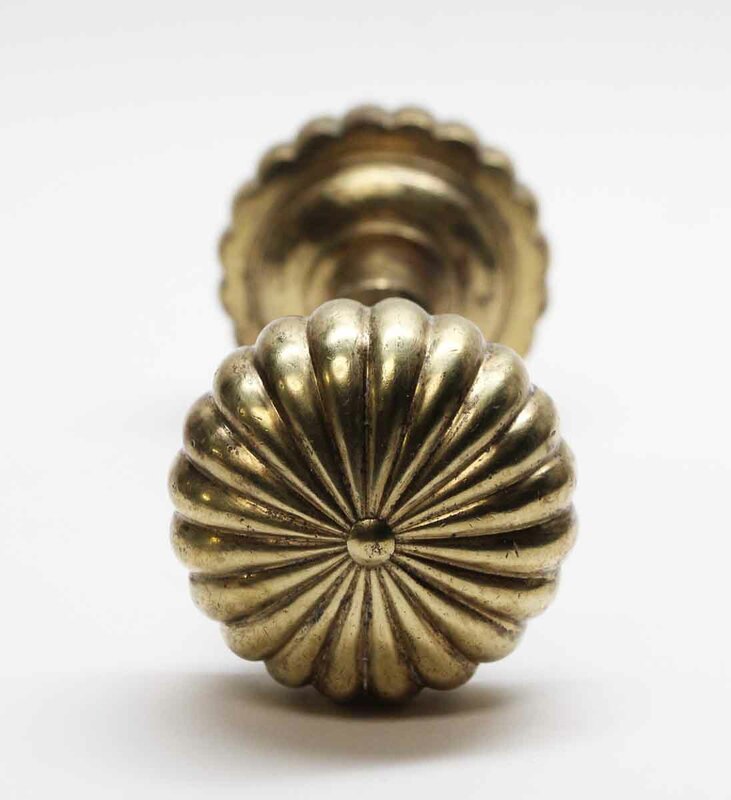 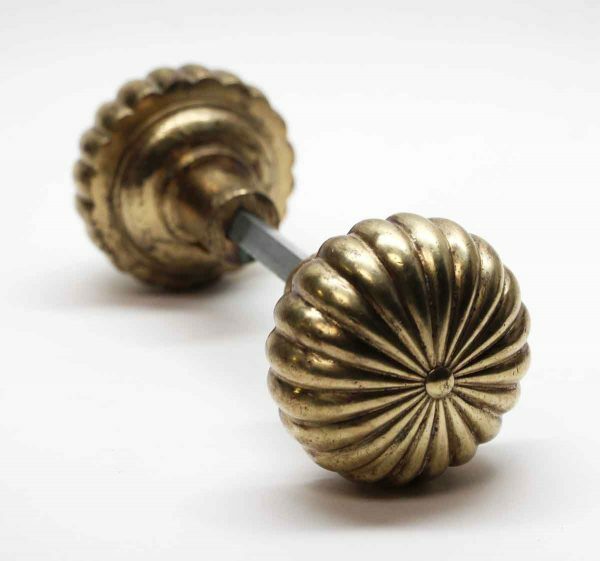 Colonial style polished brass knob set includes two fluted doorknobs and a spindle. 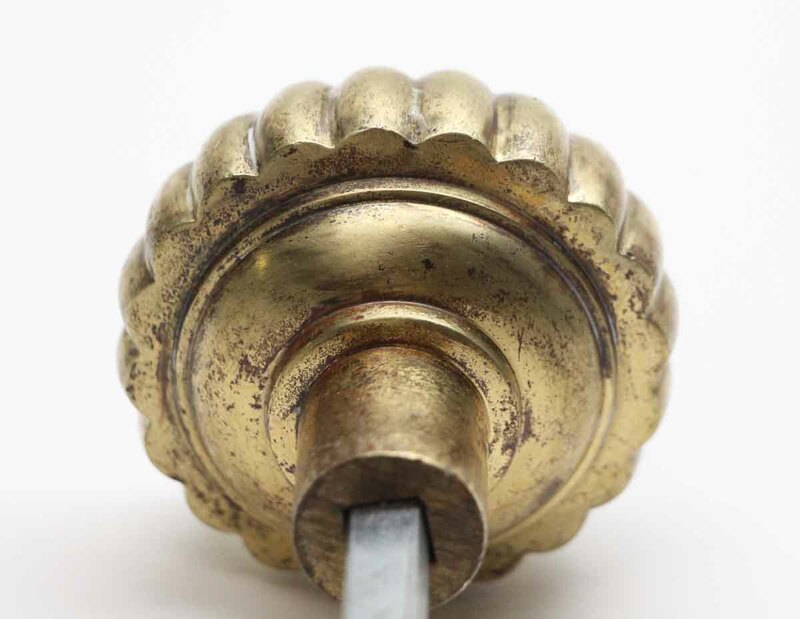 This knob was in the 193 catalog. 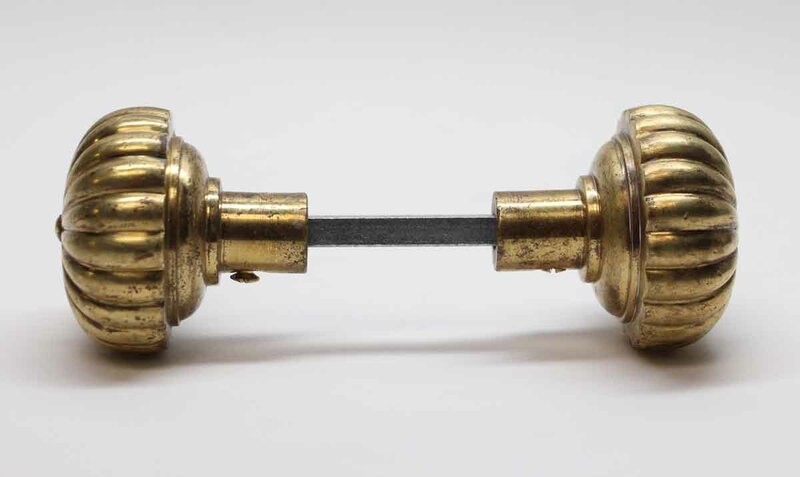 It is part of the L-15200 group.